David Condon's final State of the City address was filled with stories about Spokane city accomplishments. Hear Spokane Mayor David Condon's 2019 State of the City address, given February 8 at the Convention Center. Spokane Mayor David Condon focused on accomplishments during his eighth and final State of the City address today [Friday] at the Convention Center. 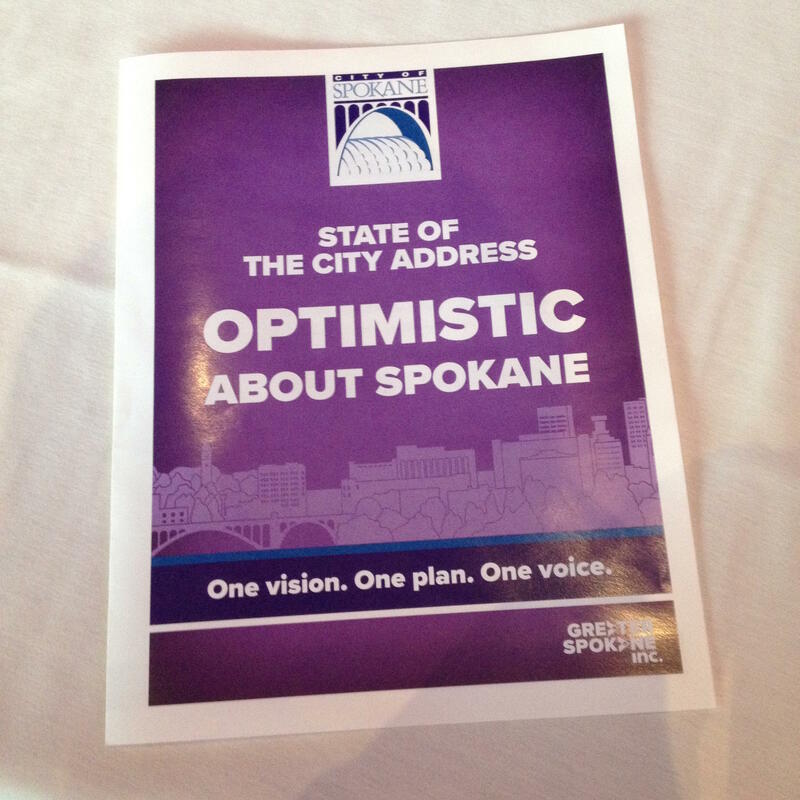 The mayor entitled his speech Optimistic About Spokane. He touted city achievements and upcoming projects and put a spotlight on a handful of private businesses that have recently opened in Spokane. They include the Fresh Soul restaurant in East Central and the Union Tavern in the revitalized East Sprague district. Condon also said the city is making progress in becoming a safer community. He said the city has more police officers than ever before and he pointed to collaborative efforts to prevent crime. He says those have helped to make a dent in the number of reported property crimes. Condon says the latest figures show residential burglaries are down, commercial burglary numbers haven’t changed much. Condon said the city is supporting a bill in the legislature that would allow police to supervise property crime offenders after they’re released from jail. Police Chief Craig Meidl testified for the bill in a Senate committee hearing yesterday. It’s scheduled to be voted out of committee next Thursday.